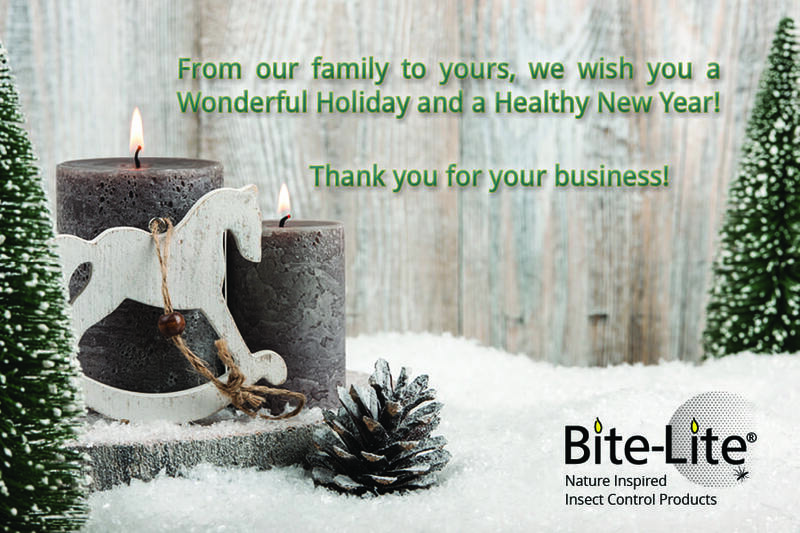 All of us at Bite-Lite want to thank you for your business in 2016, and hope that our nature inspired insect control products reduced the bites and presence of annoying pests. 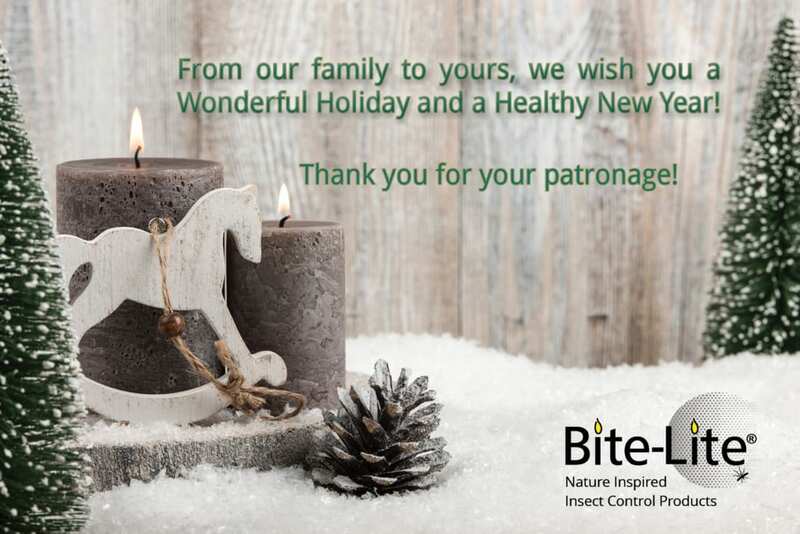 We wish you a happy, healthy, and joyous holiday and look forward to working with you in 2017. We’ll have plenty of inventory to meet your needs for reducing your populations of horse flies, mosquitoes, and indoor flies, wasps, and moths with our horse fly traps, mosquito repellents, and indoor fly traps.